SANFORD, Fla. — Dr. R.C. 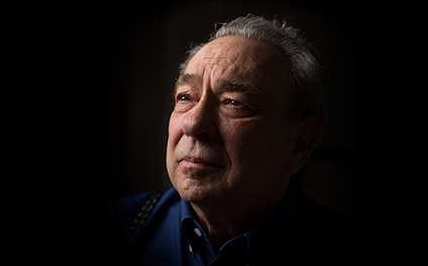 Sproul, a well-known Reformed theologian and founder of the Florida-based Ligonier Ministries, died on Thursday. He was 78. Ligonier released a statement advising that Sproul died following a nearly two-week compounded battle with already existing respiratory issues. Updates on his hospitalization prior to the announcement outlined that he had been sedated in ICU and placed on a ventilator to aid his breathing. A memorial service is scheduled for Dec. 20 at 2 p.m. at St. Andrew’s Chapel, and will also be live-streamed on RCSproul.com. “It belongs to others in the days, weeks, months, and years ahead to assess the impact of R.C.’s ministry in the history of the church. In this moment, we feel loss—immense sadness and profound loss—the loss of a pastor, a teacher, a leader, a brother-in-Christ, a friend,” Ligonier said. Sproul was adamant that the ministry continue after his passing, and as part of carrying on the work, he established with the board of directors a teaching fellowship, which currently includes Sinclair Ferguson, Steve Lawson, Al Mohler, Stephen Nichols, Burk Parsons, Derek Thomas and board chairman W. Robert Godfrey. Sproul’s messages have also been archived and catalogued so that they may be accessed by the public for the years to come.